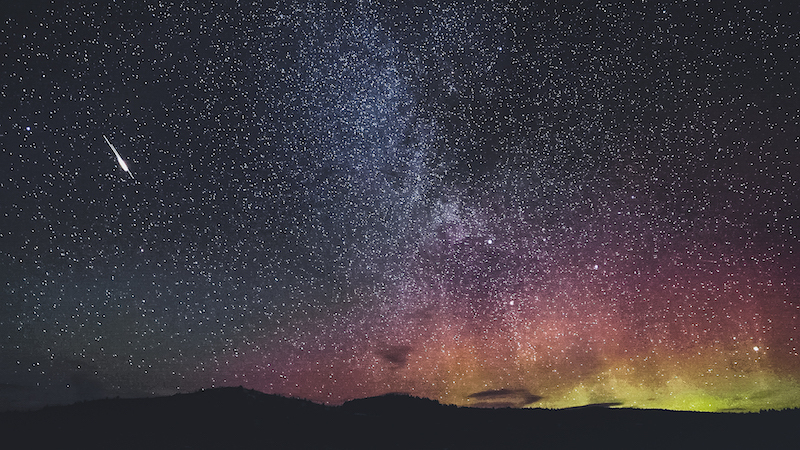 While visitors from all over the world flock towards the north pole in an effort to witness the aurora borealis, to see an it in the UK on a clear night is a relatively rare occurrence. Our Field Officer details how he managed to witness this beautiful display here at Aigas Field Centre back in February. Aurora chasing in Britain is a fickle game. In the past I have been fortunate to live in dark sky areas and have seen my fair share of faint green smudges on the horizon, but had failed thus far get a proper view of the aurora borealis. A handful of times each winter, a hardy few would troop to local haunts such as Surprise View (Lake District) or Dunstanburgh Castle (Northumberland) and hit the headlines with beautiful photographs of the phenomenon. On multiple occasions I had dragged friends to remote beaches and mountain tops with the hope of seeing the green glow in the sky, but until moving to Scotland my efforts had yielded limited success. 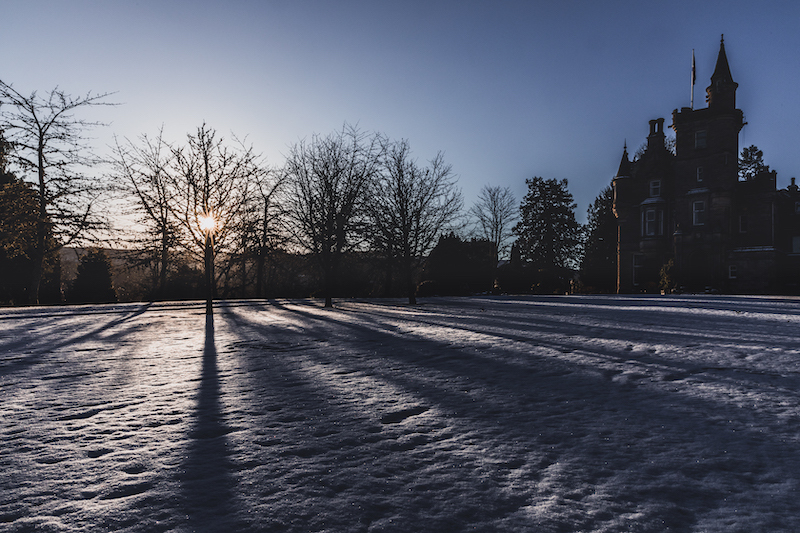 Here at Aigas Field Centre, a low winter sun rises, with short days and long nights. The forecast was good. -5 °C for most of night, with little or no wind to rattle the tripod around. The sky was clear and the stars were out. There had been minor auroral activity the previous two nights, suggesting an ongoing geomagnetic storm, so chances were better than usual. All my camera batteries were charged, so I took my filming kit up to the Iron Age hill fort on the Aigas Estate. Now little more than rubble, the fort was constructed over two thousand years ago for its commanding view of the strath below. The vista is of panoramic proportions: Inverness to the distant east, with the River Beauly wending its way towards the sea. Croft land to the south and a patchwork of farms and forestry. In the west, the looming mountains and glacier-carved glens of Affric, Cannich and Strathfarrar make their presence felt. And to the north, the lonely hill of Bad a’Chlamhain. No signs of anything unusual yet. The sky is crystal clear, however, so I spend the next hour or so looking upwards. The milky way emerges from Bad a’ Chlamhain like fumes from a seething volcano and suddenly a flash! 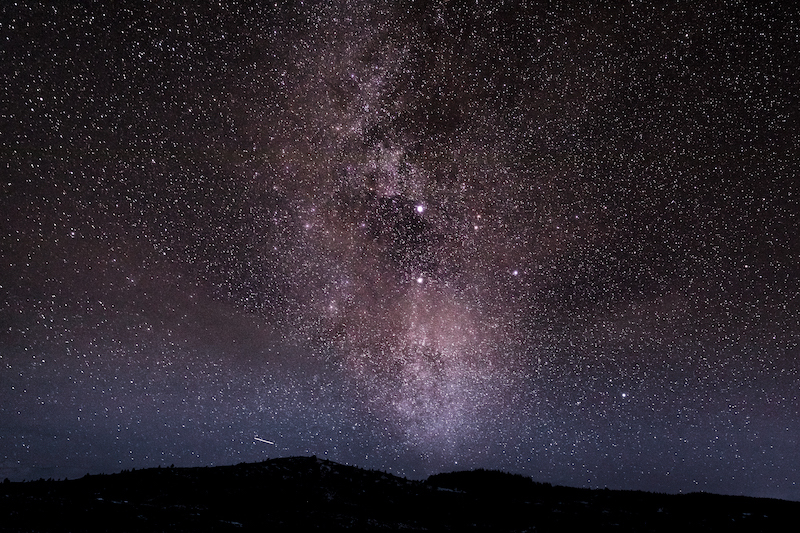 A shooting star zips across the horizon, just past the top of the hill. 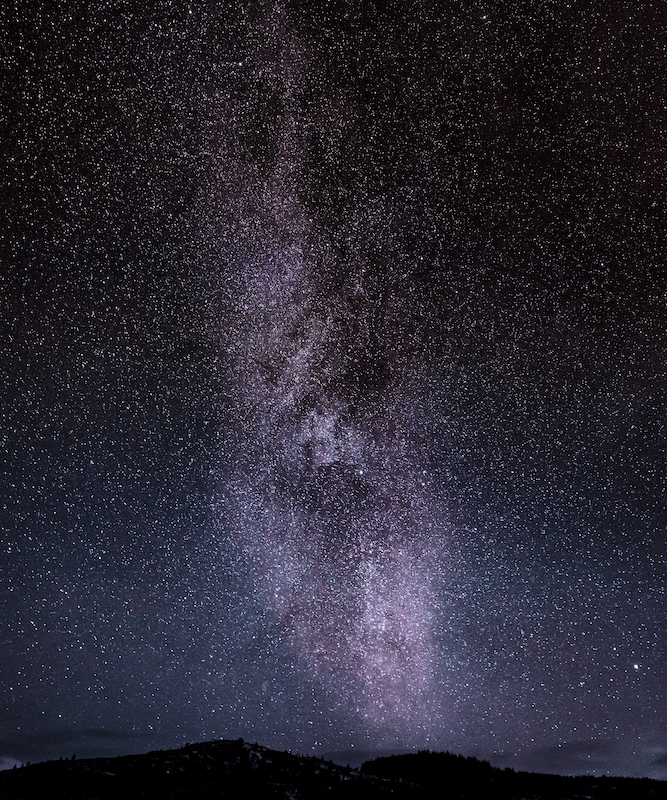 North: Bad a’Chlamhain and the milky way. Still quiet. Looking east I can faintly see my footprints in the snow receding into the gloom. I can just make out the shadowy presence of the Aigas Community Forest and a hollow in the land where the loch should be. On the horizon the lights of Inverness glow beneath Ursa Major, the Great Bear. I return to my northern vigil. I hear the distant hooting of a tawny. They roost in the woodland below the hill fort and their shrill cries echo around strath below. Lights from the crofts and dwellings in the distance gradually extinguish as night draws in. 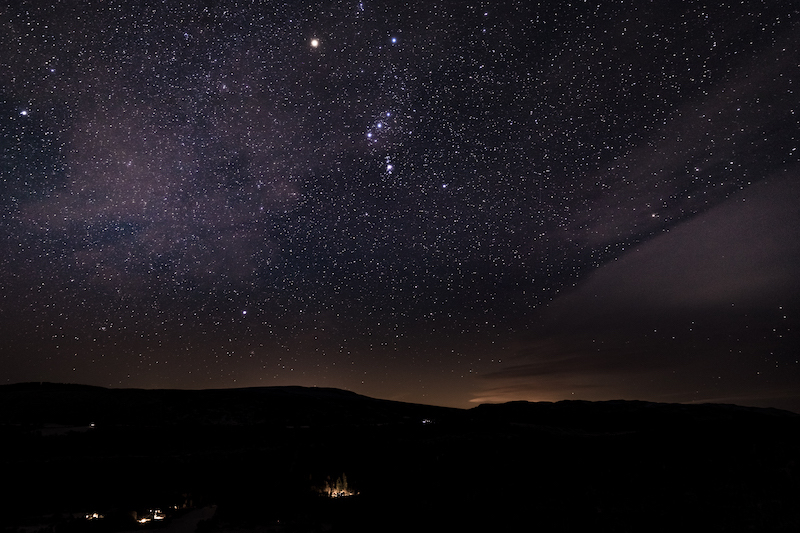 South: Lights from the crofts below the constellation of Orion and Sirius, the dog star. It’s -7°C; colder than expected. Even under all my down and fleece, the frigid temperatures pierce through every layer. I pull out a sleeping bag and fire up the stove. While water boils, I decide to set up a time lapse. The camera will take a photograph once every thirty seconds, pointing roughly north. I set the focus on a star and tape some hand warmers to the lens to reduce any fogging from the cold. After a cup of cocoa I lean against the rubble of the hill fort and drift off to a slumber. Looking back north, towards Bad a’Chlamhain and the milky way. Ping. The Aurora Alert causes my phone to buzz. I glance up. What unfolds is one of the most beautiful things I have ever seen; purple shimmers and columns of green, flickering in tendrils across the sky. All of my fingers and toes are crossed that my settings are in good order, the battery hasn’t given up the ghost and the camera is still firing shots. Fifteen minutes feels like a lifetime, my unblinking eyes transfixed by the kaleidoscope in the sky. My five years chasing the aurora around England and Scotland is paid off tenfold. When all is quiet, I leave the camera still clicking and plod slowly to bed to catch a few hours rest, replaying the event over and over. The aurora borealis, captured at Aigas Field Centre. I throw some clothes on, bleary eyed. My timer shrilly reminds me I need to retrieve my kit from the fort. Excited to see the outcome, I pull on my boots and ascend for the final time. My camera is covered in rime when I arrive, but I don’t mind at all. I swap the battery out for a spare, the previous having died at some point in the night. I frantically play back the images taken from the past four hours, a smile widening on my face. I sprint home to offload the cards from the evenings shoot, slipping and sliding on the fresh snow as I went. I mash all of the photographs into a video and play the back the result. The screen of my computer reveals the Northern Lights in high speed, an otherworldly blitz of colour, racing across the sky. Finally happy with my lot, I slump onto the bed and fall straight to sleep. A time lapse of the Northern Lights over Bad a’Chlamhain. As I was lucky enough to witness the Aurora borealis here at Aigas recently, I’ve included some tips below to increase your chances of seeing the spectacle. The sky should be clear of cloud. 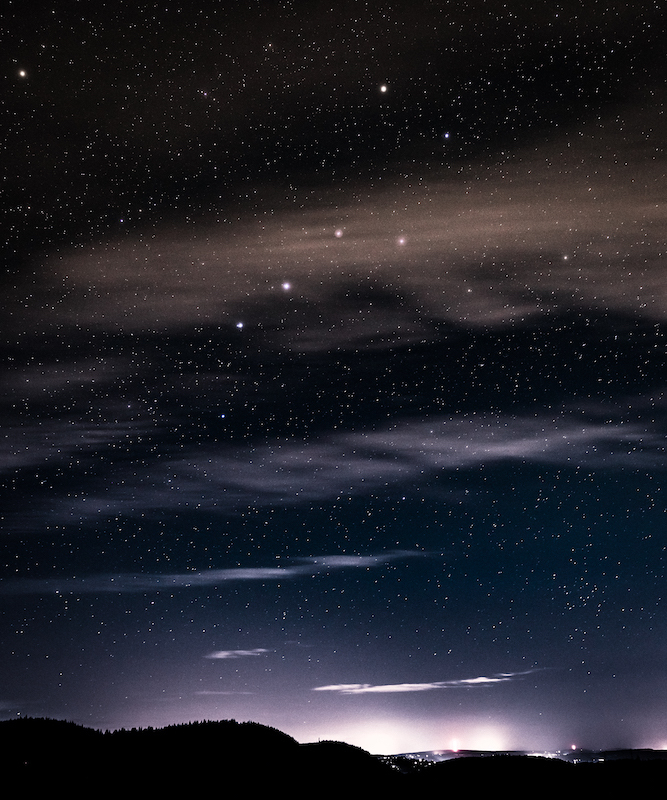 Wear extremely warm clothes and take a hot drink with you, as clear nights tend to be colder than cloudy ones. The ideal viewing season is winter, with its longer, darker nights. Autumn and early Spring can also be productive with the right conditions. The moon should not be visible. The brighter the moon is, the more any auroral activity will be ‘bleached out’. Get away from light pollution. Like the presence a large moon, this will reduce any chances of spotting. You need to find a place with an unobstructed view northwards. This could be an elevated area, or a north facing beach or field clear of hills to the north. Bear in mind your camera will always pick out an aurora better than the naked eye. For a successful photograph, you will need a camera that you can control manually (SLR is ideal) and a tripod. Aurora viewing requires patience and a lot of luck. Activity can suddenly increase out of nowhere, so best to leave yourself plenty of time and just enjoy being outside in such a quiet place. How does an aurora occur? The Aurora Borealis, often called the ‘Northern Lights’, is a natural phenomenon resulting from electrically charged solar particles entering the earth’s atmosphere and colliding with each other. In most cases, the magnetic field of the earth deflects particles such as these, but at the north and south poles, this field is weaker, letting the particles through. These lights are seen only above the magnetic poles of the northern (aurora borealis) and southern (aurora australis) hemispheres. Interestingly, the colours of the aurora are dictated by the activity of the solar particles. Green is the most typical colour cast, when charge oxygen particles collide with the earth’s atmosphere at an altitude of 60 to 150 miles. Any higher than this and the aurora is more likely to show up red. The purple colouration seen at Aigas indicates a high presence of Nitrogen, interacting with the earth’s atmosphere at an altitude of 60 miles or less.